All signs are pointing at Chromeo to have one of the more salient summer releases with their forthcoming full-length White Women, due out May 12th. 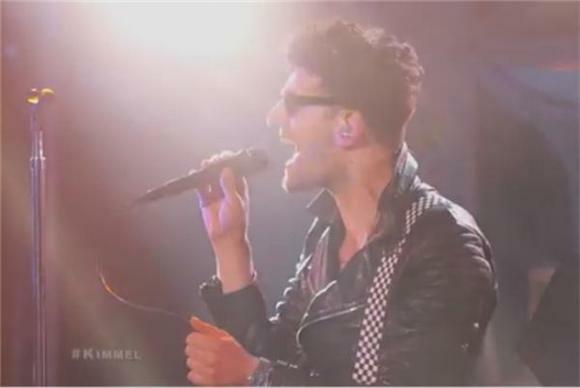 Following their dual weekend performances at Coachella, the electrofunk duo of Dave 1 and P-Thugg stopped by Jimmy Kimmel Live to perform their pop-spirited singles "Jealous (I Ain't With IT)" and "Come Alive". The second tune was originally recorded with the coos of Toro y Moi, a duty performed by P-Thugg's vocoder in this performance. Watch both clips below. White Women is due out May 12th via Atlantic Records.